Brown Bag Marketing was honored in a tremendous way at Thursday evening’s Atlanta Marketer of the Year Awards, as Nicole Baird was recognized as a top-three finalist for her excellence in project management and dedication to her client. In the spring of 2017, Atlanta Public Schools launched a three-year talent management strategy that provided the framework for defining the bar for excellence for their educators, and then attracting, selecting and on-boarding talented individuals who met or exceed that bar. Because of their existing partnership with Brown Bag, APS reached out to our team to make this strategy a reality. 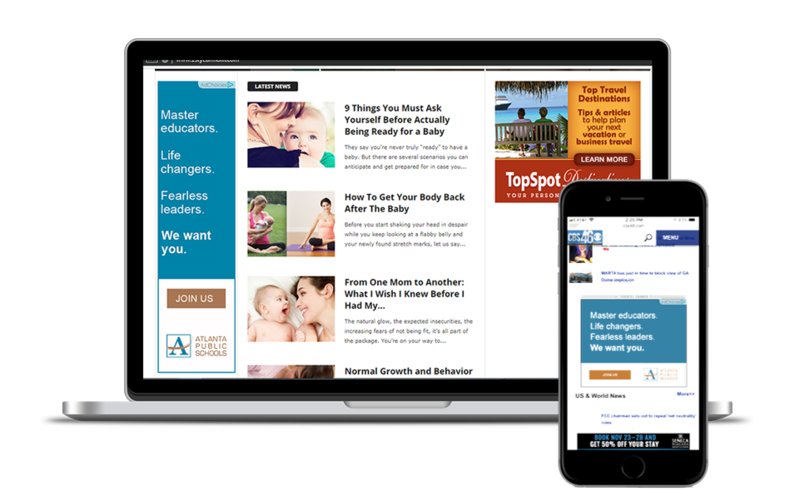 For the school district to embark on a marketing campaign required the input and participation of many stakeholders, both within the network of APS schools and inside the APS administrative offices. Managing the sea of voices, opinions and requirements was a time-consuming task that required expert coordination and management. While our team was made up of several professional disciplines, it was Nicole who drove the project forward and ensured its success. 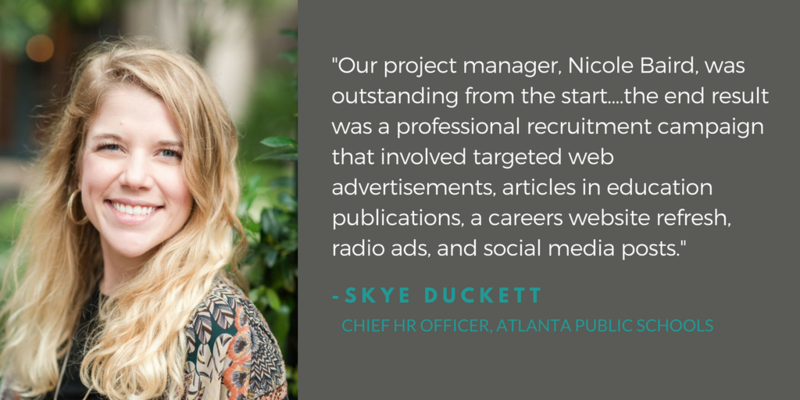 “Our project manager, Nicole Baird, was outstanding from the start,” said Skye Duckett, Chief Human Resources Officer for APS. “She played a key role in organizing the multiple parties involved in the work, managing the progress, ensuring deadlines were met, and providing helpful reminders and guidance. As a school district, it is not often that we have the opportunity to partner with external marketing firms, so it is fair to say that we were inexperienced. Many thanks to APS for recognizing Nicole’s commitment to their team and for trusting Brown Bag Marketing with such a rewarding campaign! The Atlanta Marketer of the Year Awards, presented by AMA Atlanta, have rewarded companies for outstanding creative, innovative strategies and unforgettable campaigns that lead to notable results for their clients for 60 years. Thursday night’s awards ceremony was held at The Stave Room at American Spirit Works in Midtown Atlanta.